Tickets are now on sale for Exeter Phoenix’s Two Short Nights Film Festival, which will take place from 28 to 30 November. The 17th annual festival of short film brings a diverse programme of short film screenings and events to Exeter’s city-centre arts venue. As well as a programme placing must-see films from around the world alongside emerging local filmmaking talent, the festival will also feature talks from leading industry professionals and Q&As with acclaimed filmmakers. Screenings include an exploration of the intricacies of intimacy with Carnal Cravings, while young protagonists take centre stage for Growing Pains.LGBTQ+ themes are explored in Gay As In Hysterically Funny, which will be followed by a panel discussion on queer comedy featuring comedian Rosie Jones. Discover the most promising emerging talent from the South West with the Local Talent event. 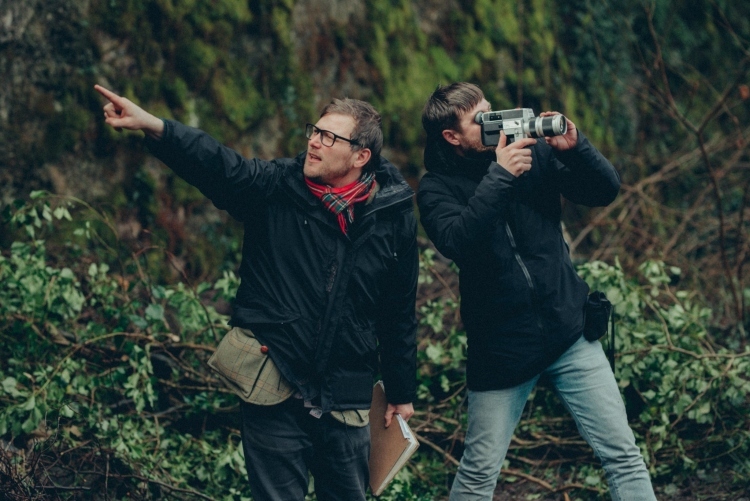 Or watch local filmmakers battle it out in a live Dragons-Den-style pitch to win the 2019 South West Documentary Commission. There will also be a chance to witness the results of Exeter Phoenix’s famous challenge to make a short film in just two days at the 48 Hour Film Challenge Screening. For irreverent, off-beat offerings, the Best In Show screening will feature a film about a famous artist who happens to be a horse (My Paintbrush Bites) and a short about sharing an apartment with a pet rooster (Tungrus). One of the more experimental shorts included in the festival is Dead. Tissue. Love., an intimate documentary exploring necrophilia which will be screened at Carnal Cravings. Astrid Bussink’s documentary L I S T E N features real recordings from the Netherlands child helpline Kindertelefoon. It will be featured in the Flesh and Blood screening. Industry experts taking part in the festival include Plymouth-based filmmaker Dean Puckett who will be in conversation about his latest film and iFeatures work. Plus Real Stories commissioners Harold Shiel and Adam Gee who will be judging the Live Pitch event. If you are looking for homegrown film talent, be sure to check out local Exeter filmmakers’ offerings Cut From Cloth (Tommy Gillard). And This Is Phonic (Chris Jones), a screening curated by 16-19 year olds based in the South West (Growing Pains). Plus Exeter Phoenix Associate Artists Vast Productions’ film Gloria. The festival will draw to a close with the Commission Premiere + After Party, offering festival goers the chance to see the premieres of the five short films commissioned by Exeter Phoenix this year. And opening applications for 2019’s commission schemes.